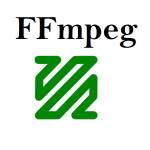 For Open Source Transcoding you have to install the transcoding tools (MPlayer, mencoder, ffmpeg, flvtool2, faststart). As the Ubuntu packages do not support all required formats, we have to compile the required tools. In most cases please just copy & paste the code into your shell and execute the commands as root.